Glasgow is blessed with a number of really great parks and green spaces. 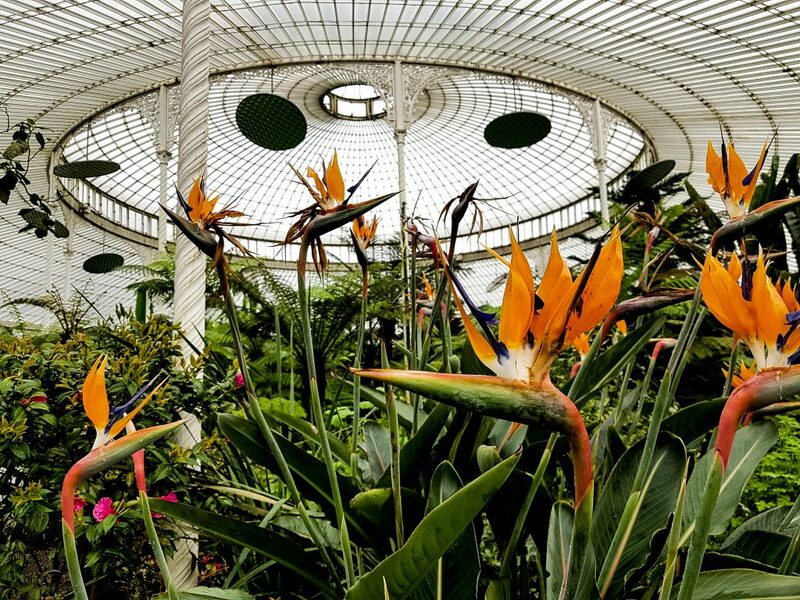 The Botanic Gardens in Glasgow’s West End are home to a huge number of exotic plants, flowers, and historic glasshouses, and are a real example of the power of Springtime at work. The city of Glasgow is blessed with a number of really great parks and green spaces. Many of these green paradises are culturally and historically significant to what makes Glasgow the city we know today. Kelvingrove Park offers a welcome respite from the hustle and bustle of city life. Glasgow Green hosts a number of festivals throughout the year. 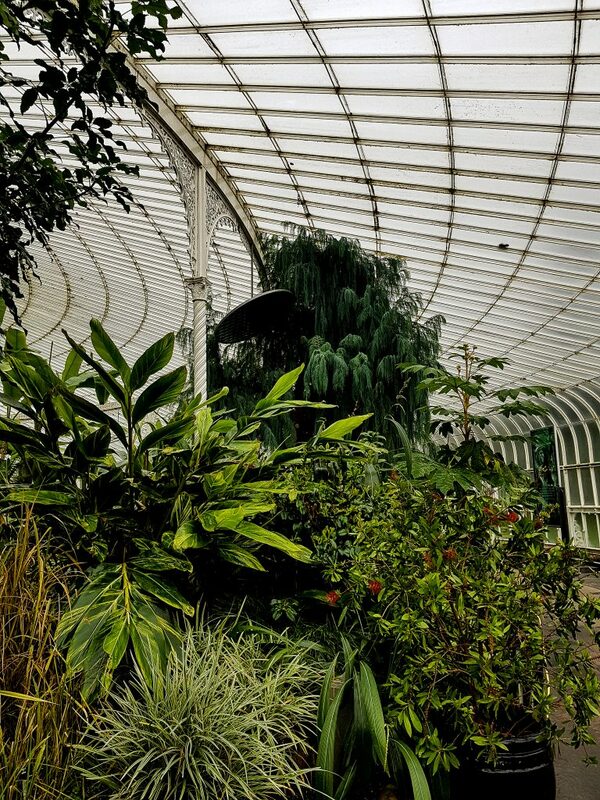 The Botanic Gardens in Glasgow’s West End house the cities collection of exotic trees, plants, and flowers, and the historic glasshouses live with their own history and stories to tell. I used to visit Glasgow’s Botanic Gardens almost monthly whilst studying photography in High School. 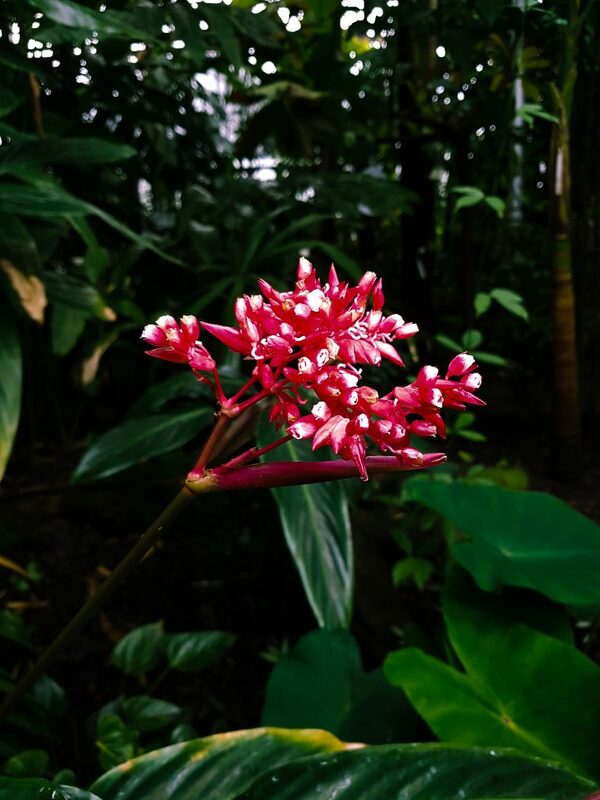 I’ve always loved capturing mages of flowers and nature, and the Botanic Gardens offer an almost unlimited supply of blooms and greenery year round. There’s almost always something new to see on every visit. 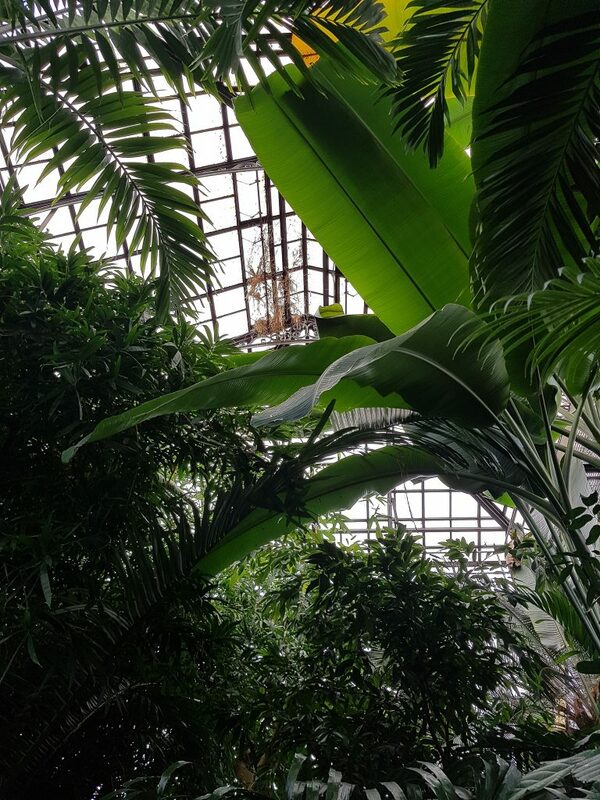 The Kibble Palace, originally a private conservatory, then later moved to its present site to be used as a concert hall and meeting place, now houses a practical forest of tree ferns from around the world. The Palace is also home to a number of marble sculptures often depicting characters from stories of the Bible. 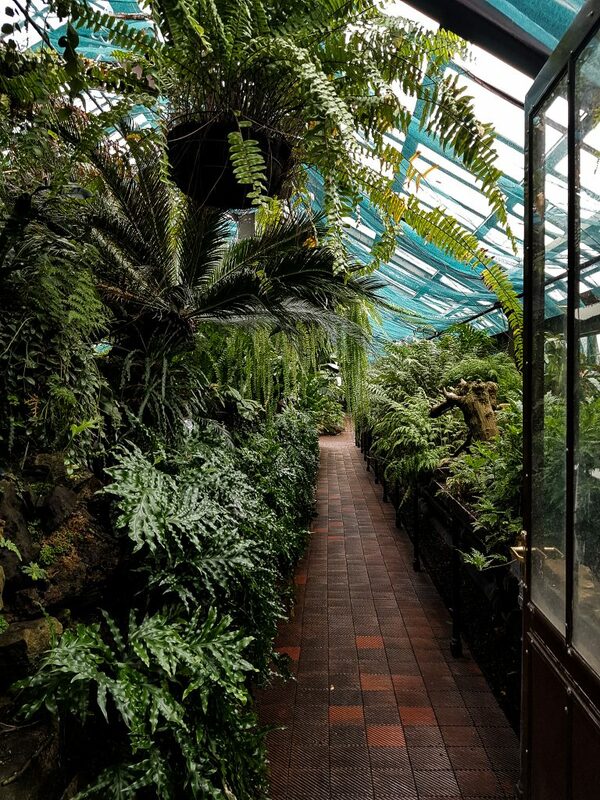 The Main Glasshouse sits pride of place at the highest point in the Botanic Gardens. The front door is decorated by a striking pink rose bush cuddling against the glass window for warmth. Upon entering, the first thing that struck me was the scent of spring. 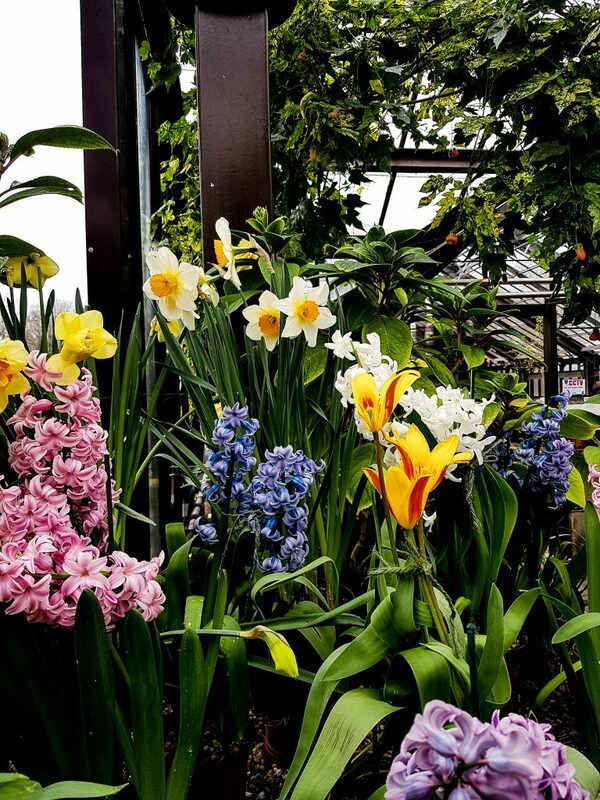 The entrance hall of the Glasshouse was full of spring blooms; hyacinths of many colours burst their scent free across the room. 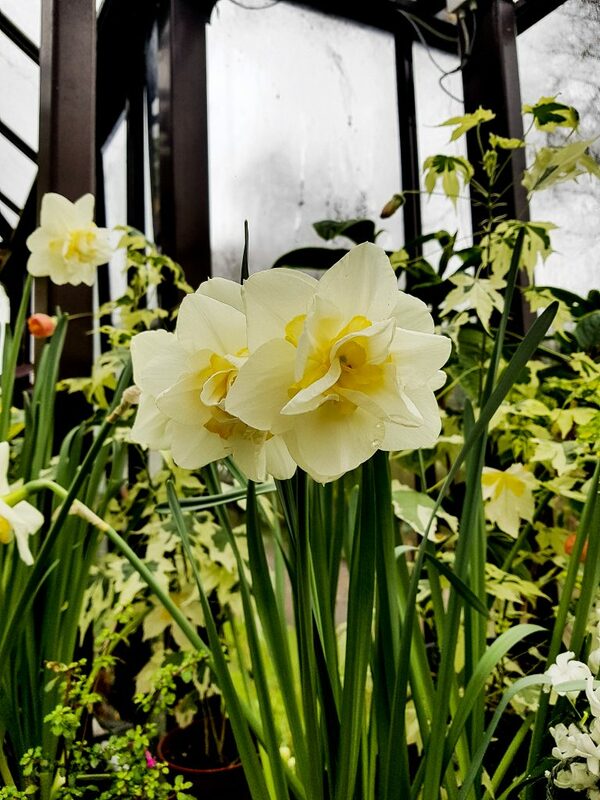 Daffodils brighten the space with burst of bright and pastel yellows. The warmth of the glasshouse encourages life, and I swear I heard a bumblebee buzzing to and from these Springtime pollen filled blooms. It truly was a joyous sight to see. 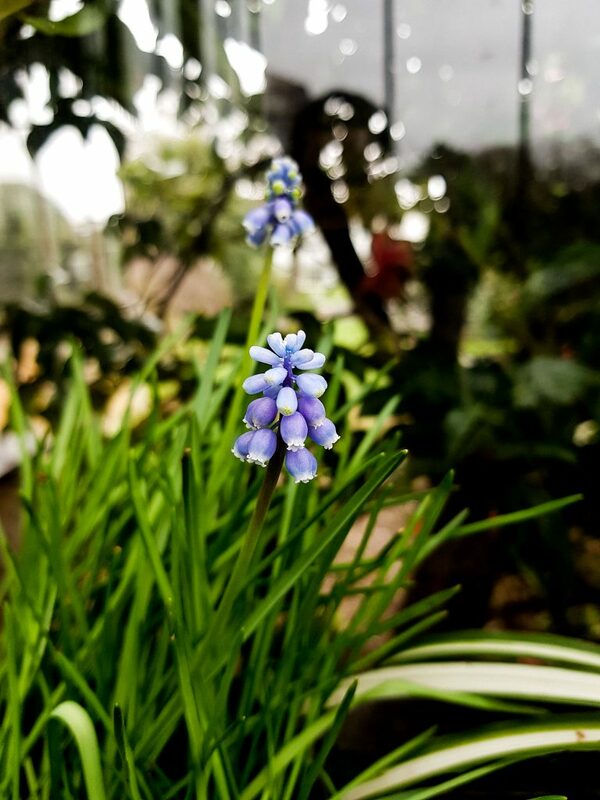 The varying offshoots of the Main Glasshouse are home to flowers from around the globe. An orchid room houses some of the most delicate flowers known to man. Great palms and ferns compete to reach the bright glass ceiling. 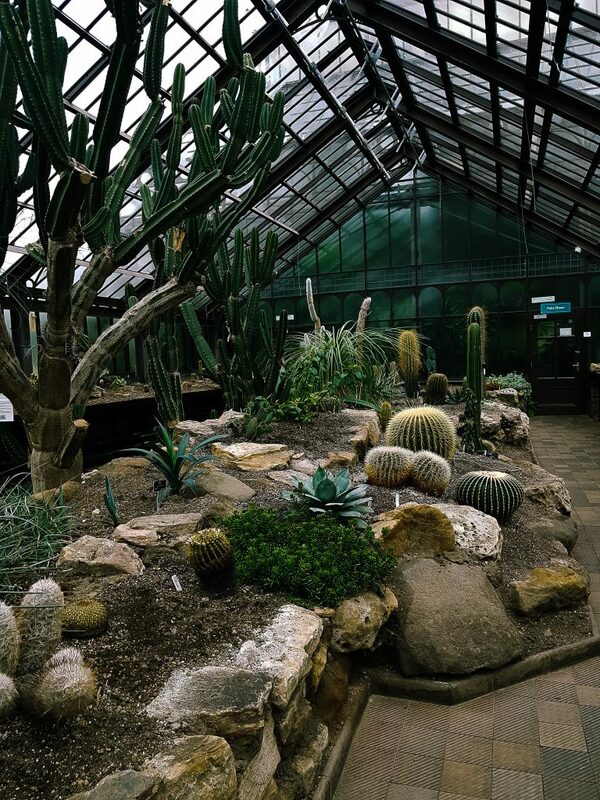 after the humidity of the Rainforest, the dry heat of the Desert room seems almost a relief. Outside the Glasshouses, Spring is spreading her energy of rebirth around the park. Snowdrops peek out from beneath bushes awaiting Summer’s warmth. Grassy lawns are awash with the sunshine yellow of Daffodils. It was an added bonus to be visiting Glasgow’s Botanic Gardens on Ostara, the Vernal Equinox. Being surrounded by Mother Nature on the day of Springtime’s most potent energy really allowed me to embrace the energy of newness and joyous rebirth. I look forward to channelling that energy into my life and my projects this season.